Beyond that, Julia really has stepped up to become a representative of what the theater itself means to the film community at large—that is, the effort to keep revival cinema and the ability to project 35mm prints alive and well in the face of the digital cinema revolution. 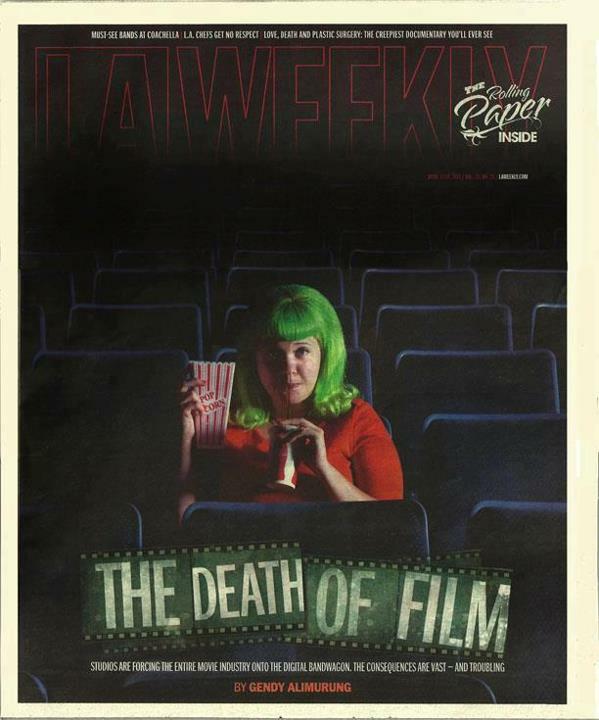 Her work began earlier this year with a widely circulated petition (upwards of 10,000 signatures) designed to raise the consciousness of filmgoers and studios as to the perils of supplanting the distribution of 35mm prints with a digital-only option. 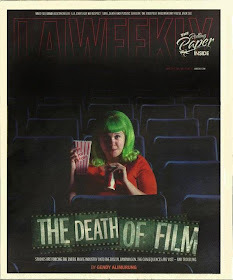 Features in many publications, including a high-profile story in the April 12 L.A. Weekly , have outlined the dilemma and acknowledged, among the efforts of many others, Julia’s resolve and passion in helping to preserve the 35mm tradition. Plainly speaking, the prospects for Julia’s film become more and more tenuous with each tick of the clock moving toward that Thursday deadline. It would be nice to think that someone in the film community, wherever they might be, could and would swoop in at the last minute and fill in the financial gap that remains looming between Julia and the fulfillment of this cinematic dream. But that kind of thing usually only happens in the movies. 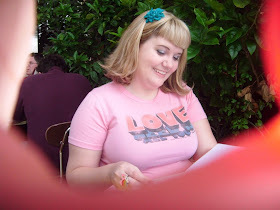 The reality is, while acknowledging the fantastic generosity of those people who have already donated, Julia still needs about $43,000 if Out of Print is to ever get made. There is no more time for glad-handing and the subtle approach. It is my sincere hope that you will join me and hundreds of others who have already made our pledges and offer your support for Julia’s project, one that is intended to honor the history of the New Beverly Cinema and move toward a confident stride into its future. $43,000 is a lot of money to drum up in less than a week, it’s true. But the future of theaters everywhere that are unwilling or cannot afford to make the switch to digital projection are facing even dicier chances than that, and by creating a cinematic document of the history of the New Beverly Cinema, one of the last surviving calendar-based revival house in the world, Julia hopes to honor not only the theater but the movies themselves and the hope that they would continue to thrive and reach people via the 100-plus-year-old format in which they have always thrilled us. 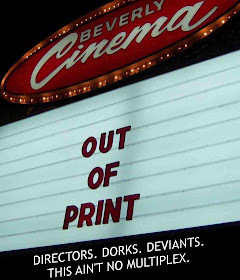 Have three or four fewer lattes, go out to eat one or two times less this month, and voila—you might just find yourself with a few extra dollars which you can pledge toward all the pleasure the movies, and the New Beverly Cinema in particular, have provided you over the years. Please consider using that spare change to support Julia Marchese in her march toward production of her first feature, Out of Print, whose title will hopefully prove not to be prophetic after all. Amazing article, Dennis! Well done!